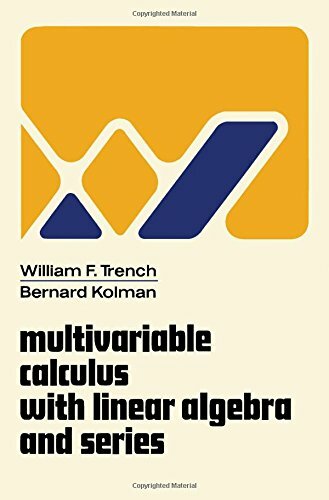 Multivariable calculus with linear algebra and series [by] William F. Trench and Bernard Kolman. An expansion of Elementary multivariable calculus, by B. Kolman and W. F. Trench, published in 1971. 10^aMultivariable calculus with linear algebra and series^c[by] William F. Trench and Bernard Kolman. ^aAn expansion of Elementary multivariable calculus, by B. Kolman and W. F. Trench, published in 1971. 1 ^aKolman, Bernard,^d1932-^tElementary multivariable calculus.